A question was recently posted on the listserv asking about the sedation practice of different practitioners when it comes to the patient with obstructive sleep apnea (OSA). As is often the case, there was a spectrum of responses. One comment referenced the ASA guidelines on the perioperative management of OSA. The goal of this post is to review these guidelines and reflect on their recommendations as it relates to deep sedation in the non-operative setting. Such patients should be treated as though they have moderate sleep apnea unless one or more of the signs or symptoms is severely abnormal (markedly increased BMI, respiratory pauses that are frightening to the observer, or the patient regularly falls asleep within minutes after being left unstimulated). Based on this criteria there are a considerable number of my own patients that would be classified as having moderate sleep apnea by history and physical alone… and a handful that would be classified as severe. Standard, Increased, or Significantly Increased? The first is easy to define but the other criteria are difficult to extrapolate to our specific patient population. General Anesthesia with a secured airway? The guidelines seem to indicate that for those patients who are at increased perioperative risk due to the OSA… general anesthesia with a secured airway is the preferred practice. This is confirmed based on a follow-up questionnaire sent to 68 anesthesia consultants who preferred GA with a secured airway to deep sedation for increased risk patients. As with many issues that are broadly aimed at perioperative management, this guideline is difficult to apply to the specific situation of deep sedation in the non-operative setting. This scoring system starts patients off at a score of 2 for moderate OSA and 3 for severe OSA. The rest of the scoring system is difficult to apply to the pediatric sedation population that we see because deep sedation is not well defined (only moderate sedation versus general anesthesia). Again these guidelines are designed for the perioperative management of patients expected to have surgery. Much of what we do is very different from surgery. Most is far less risky. However some things, like a long MRI study with poor access to the airway, may actually be more risky. The other confusing issue is that OSA in the pediatric population is generally seen in 2 fairly distinct populations – younger children with adenotonsillar hypertrophy and older adolescents with obesity. The pathology and management of sedation related complications may differ considerably between the two. Based on the article above, and in light of the problems associated with the application to pediatric sedation outside the OR, the East Tennessee Children’s Hospital drafted a Clinical Practice Guideline for the sedation management for OSA. This is one institution’s solution to the problem. There are still many factors that remain unclear. Especially specific patient factors like snoring, tonsils, and fat distribution. It has also been the observation of some that age plays a role (perhaps younger kids with a higher BMI tolerate procedures better than their older counterparts)? This is certainly an area in need of further clarification by well controlled clinical trials. 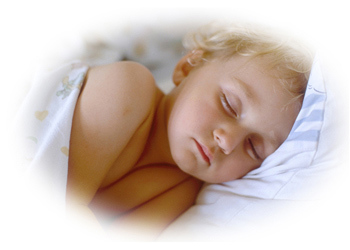 Leave a comment below and tell us about your approach to pediatric sedation for children with OSA. This entry was posted in Sedation Practice on February 17, 2011 by DrReynolds.